The NHS Leeds Clinical Commissioning Group (CCG) is working with a range of health and wellbeing partners to develop a diabetes strategy which will outline our plans to tackle diabetes in Leeds over the next five years. This engagement supported the development of the strategy, and sought the views of people with a diabetes diagnosis, people who know, or care for, someone with diabetes, and of people who work with or provide services to people with diabetes. Who did we speak to? We used online and paper surveys, and focus groups to gather people’s thoughts and experiences. The survey was shared widely, with support from diabetes staff in key local services, with copies of the survey being distributed to all Leeds GP practices, via partner organisations, at public events and through social media. Third sector partner Voluntary Action Leeds (VAL) also supported the engagement by facilitating focus groups to gather feedback from people representing more seldom heard communities. Waiting is an issue! Whether waiting longer for follow-up appointments, or spending too long in waiting rooms, respondents, carers and professionals alike agree that there is an issue with waiting times for diabetes services. There is a need to reduce unnecessary appointments/duplication. People at all stages of diagnosis, and their families and carers need to be keep updated with clear, reliable information about their diagnosis and about self-management and self-support advice and guidance. There is a lack of culturally and ethnically appropriate information and interventions – specifically around South Asian, African and Caribbean communities, which are known to be 3 to 6 times more likely to develop Type 2 diabetes than the white population. The importance of acknowledging the differences between Type 1 and Type 2 diabetes, especially amongst non-specialist healthcare professionals – achieving a basic level of understanding across all services. The links and communications between different departments and between hospital and community settings are sometimes poor. One size does not fit all – There is a need to consider each individual patient’s situation holistically, and ensure services are able to adapt in order to provide the most appropriate treatment and support, for example, the lack of suitable meals available for people staying in some residential inpatient settings. There is a need for wider support – some people feel very isolated (mentioned by some Type 1 respondents particularly) or alone with their condition, and others felt unsure about how they were managing their condition on a day-to-day basis. The recommendations and feedback from this engagement have been shared with the commissioning team. The commissioning manager has responded to the main themes from people’s comments in the table below. There is an issue with waiting times for diabetes services. The implementation of Single Point of Access is anticipated for Sept 2019 which should help reduce waiting times. In addition, further integration of specialist teams (Leeds Teaching Hospitals NHS Trust and Leeds Community Healthcare NHS Trust) should have a positive impact. Giving consideration to other ways of delivering support e.g. skype, virtual clinics, etc. should also help to increase access to, and availability of, face-to-face appointments. There is a need to reduce the number of unnecessary appointments/duplication. 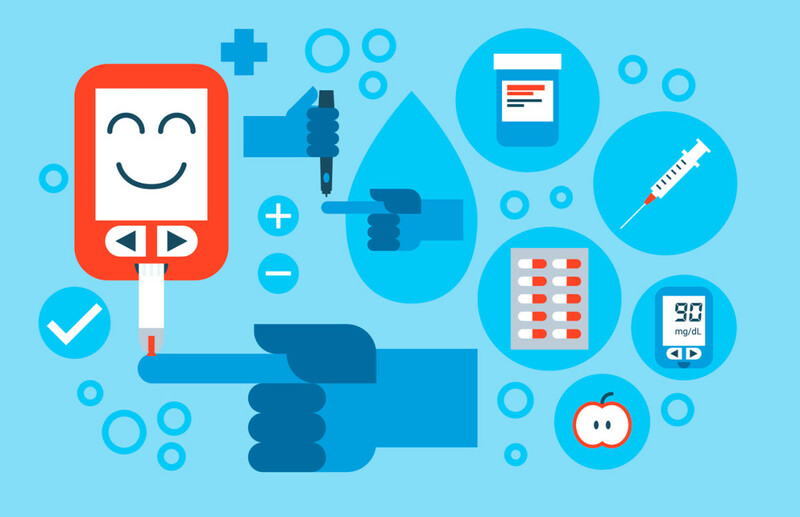 Technology is key – improved access to information for healthcare professionals and people living with or caring for someone with diabetes i.e. development of the electronic health record, PPM+ (Leeds Care record) and HELM (person held record) which should help reduce unnecessary and duplicate appointments. People need clear, reliable information about their diagnosis and about self-management. This links to the work of HELM (local project designed to improve decision-making by health professionals by giving patients access to their health records so they can add information about their wellbeing). Also, standardisation of information and other resources available to ensure consistency of information is complete. People living with or caring for someone with diabetes are involved in this work. Brief list included in Diabetes Strategy Summary (resources); extensive list published in Leeds Health Pathways. There is a lack of culturally and ethnically appropriate information. Work to address this already includes Diabetic Foot and My Diabetes leaflets – translated into various different languages. Services are required to address specific languages and cultural needs (e.g. LEEDS Programme for Type 2). A recent film produced by primary care regarding managing Type 2 diabetes during Ramadan. We are keen to develop further, and also access and learn from the existing resources that are available. Acknowledgment of the differences between Type 1 and Type 2 diabetes is so important. This is an ongoing action, which is acknowledged and reflected in the strategy as well as operationally via the aforementioned resources. Specific promotion includes work to support primary care regarding identification of Type 1. We need to ensure that we appropriately differentiate between the needs of people living with the different types of diabetes as well as accepting that some support is common across the condition. We are utilising existing literature and resources already available, e.g. from Diabetes UK, JDRF and ensuring that we are promoting this as widely as possible (e.g. standardisation of information as well as promotion to the general public). There is a need for stronger links and better communications between hospitals and community settings. In addition to the work around the Single Point of Access and the integration of specialist teams, there will be a specific focus on improvements to pathways such as mental health support, and addressing practical issues such as multiple IT systems, admin teams, etc. We are continuing to work with patients and carers and involving them in decision-making. We will build on the collaborative care and support planning framework (CCSP), which recommends a proactive, holistic, flexible, and tailored approach to care, and recognises the individual as an expert in their own care. There is work going on across the city establishing conditions to ensure that both people living with, or supporting someone with, diabetes and the professionals involved in their care are on an equal footing (i.e. removing the implication that the professional knows more about the condition). Raising the profile of information and signposting to existing support – highlighting websites, support groups, helplines, forums, education, etc., including carers and families. We are considering gaps, and extending the reach of information to wider support groups, charities, networks, etc. We are exploring self-management/peer support and the links to these within the Leeds Directory. Please see below the Leeds Diabetes Strategy Engagement Report, and its Appendix, which outlines the engagement in more detail and highlights the findings and recommendations. If you have any questions about this engagement please contact Caroline Mackay on caroline.mackay2@nhs.net or 0113 84 35473.